Batman is set to debut in Gotham. After five years and almost 100 episodes, Batman is coming to Gotham. The crew and cast confirmed that this would be the case before the series came to an end. But new footage has been revealed finally. And people have already seen Gotham’s Batman! During the Gotham panel on Wednesday at the TCA winter press tour, FOX showed off a sizzle reel from the rest of the final season. We also got the new look at Batman on the series. As learnt previously, Batman won’t show up until the last episode following a time jump. Many reporters who were present took to Twitter to reveal Batman’s presence in Gotham. Batman will truly exist in the show. We don’t have many details except a few about who might be wearing the suit. IS DAVID MAZOUZ THE BATMAN ON GOTHAM? According to those in attendance, showrunner John Stephens was asked if David Mazouz is Batman in Gotham. “Yes and no,” he replied. Stephens also said that it would look and sound like David Mazouz when you see the show. His face will be under the cowl, and we will hear his voice when Batman talks. However, there is someone, much bigger, behind the suit. The suit was made for someone who’s over six feet tall, so it’s obvious it’s someone taller than Mazouz. 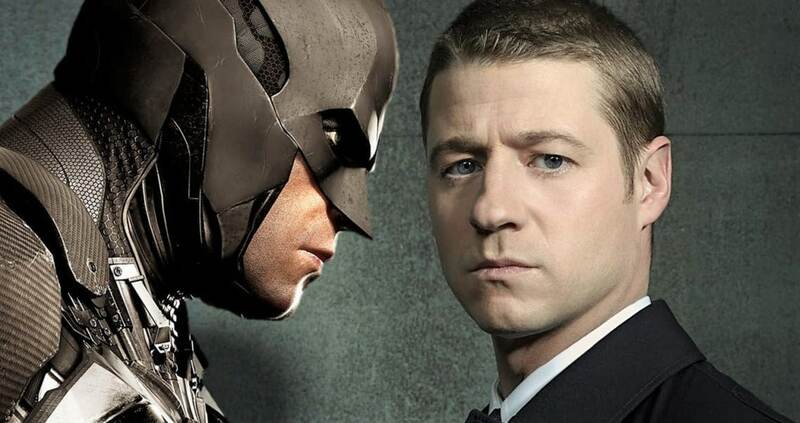 Can you wait to see Batman arrive on Gotham series? Let us know in the comments below! New Gotham episodes air on Thursday nights at 8 pm ET on FOX.